The hunt guidelines provide the biological and social parameters used by wildlife managers to formulate the annual hunt recommendations (season structures, season lengths, season dates, permits allocated) and results in the hunts in which sportsmen, women, and children participate. While hunting opportunity is important, wildlife is held in the public trust, and using science-based principles in shaping the guideline process remains paramount to assure healthy, sustainable, and diverse wildlife populations in perpetuity. Based on public input received this year, the Arizona Game and Fish Department developed the current draft of the hunt guidelines and shared them with the Arizona Game and Fish Commission on June 15, 2013. We want to hear more from you on how this revision may be improved. The draft guidelines can be found at Draft Hunting Guidelines. 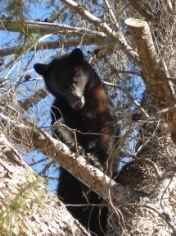 Comments may be submitted through July 31, 2013 electronically to azgamebranch@azgfd.gov, or by mail to Hunt Guidelines, Arizona Game and Fish Department, 5000 W. Carefree Highway, Phoenix, AZ 85086. The Arizona Game and Fish Commission will take final action on the hunt guidelines at their meeting during September 6-7, 2013, which will be held in Region 1 in eastern Arizona (the exact meeting location has yet to be determined but will be posted on the website when that information becomes available).